Prem… The weather… What shall we do? She was wondering if we should venture out in the cold, grey weather – a confounding situation because we had just had a spate of sunny days in Zagreb the past few days. 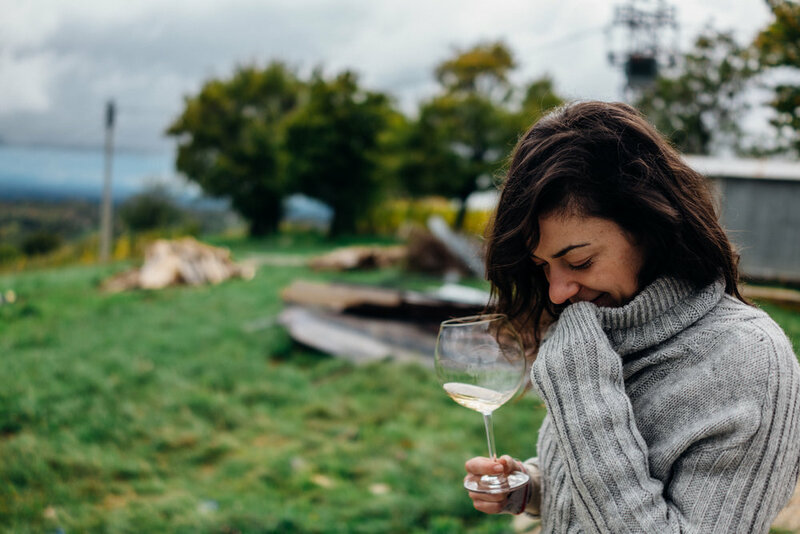 We decided to go and I’m glad we did – the cool, cozy day was fitting for a long day of wine tasting. 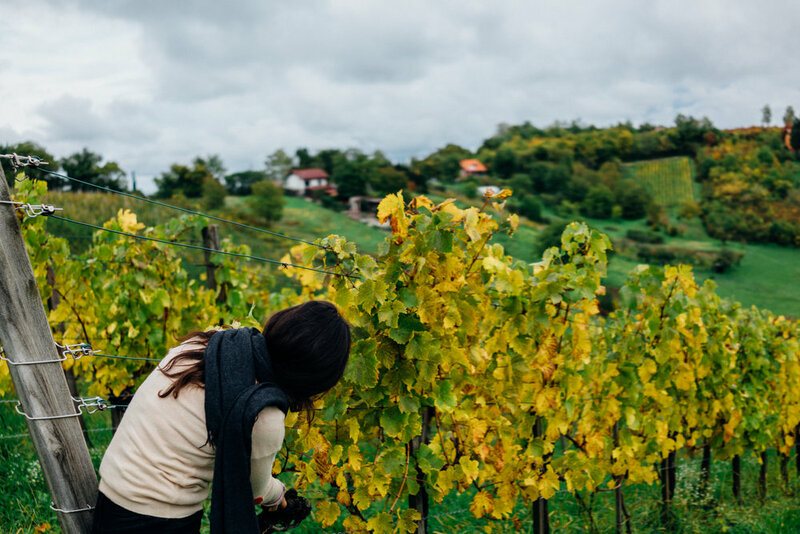 We started with Šember Wines where three generations of the Šember family work the farm. 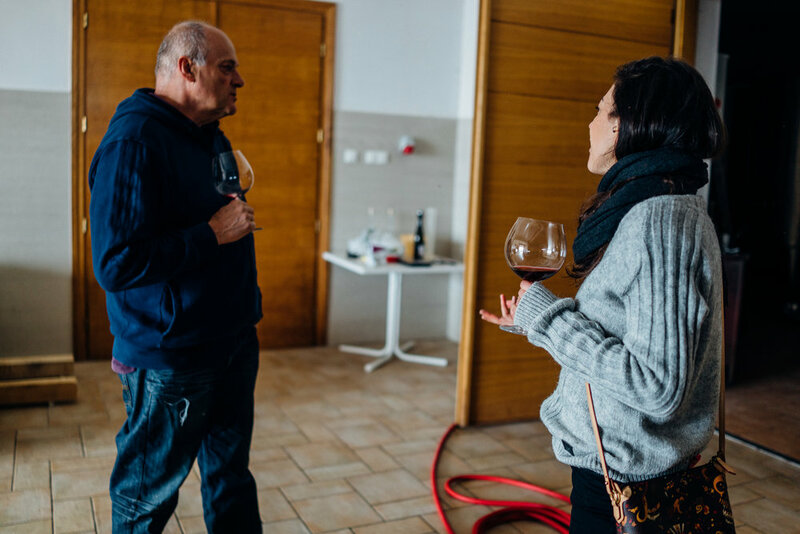 We had originally talked with Zdenko – who took over the winery from his parents Ružica and Stjepan – over the phone to schedule a tasting, but he didn’t speak much English so his daughter Lucija, who overlooks a lot of the business aspects of the winery, was our host for the day. Lucija brought in some homemade pork sausages along with some cheese from the neighbors for us to snack on. We started with a bottle-fermented sparkling Šember Brut champagne followed by M’s favorite, Šember Brut Rosé. The 2015 Rajnski Rizling (Riesling) has a higher sugar content, but this was exceptionally well-balanced on the palate. Next up was a 2016 Chardonnay “sur lie” – aged on the lees. This was quite wonderful, vibrant yet creamy, ever so slightly saline. We ended our tasting with a Pinot Crni (Pinot Noir). A lot of Croatian Pinot Noirs tend to be big and juicy, not unlike the typical Californian Pinots, but Plešivica carries some potential (fun fact: Plešivica is at the same latitude as Burgundy). The Šember Pinot Crni, heavy on the nose, betrayed its high ABV, but had enough acidity to offset its weight. We had planned to pace ourselves but... I’m not sure we did a very good job. Toward the end, we were chatting with Lucija, her boyfriend and Lucija’s mum Ivanka, while we drank more wine out on the porch on a rather chilly day, cocooned in blankets. Korak is around an 8 kilometer drive north from Šember. 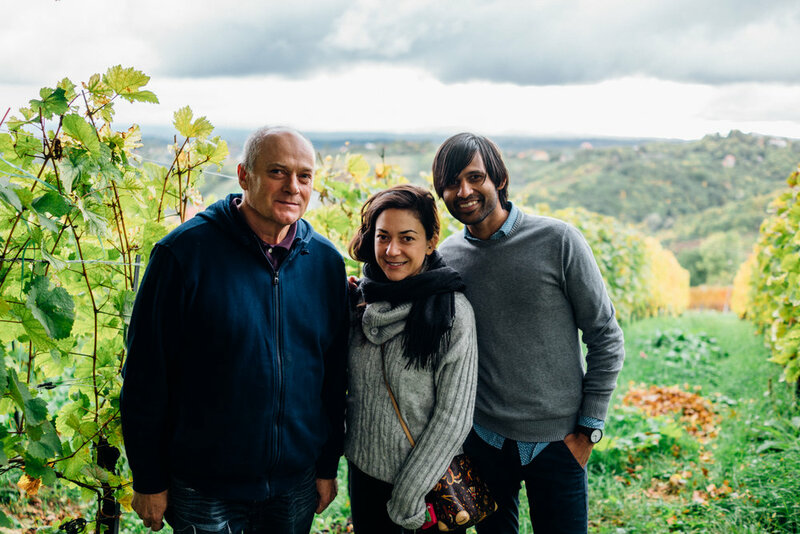 Velimir Korak is a serious winemaker with curt mannerism, brought into sharper relief to us by his limited English (and my non-existent Croatian and M’s desire to not speak Croatian, lest people start “placing” her in the scheme of Croatian social hierarchy.) As the afternoon proceeded, though, he loosened up and indulged us in our curiosity of his wines. Fruit flies on the window? We started with a Pinot Crni that was quite pleasant. We then proceeded to try some young Pinot Noir from the barrel, before venturing into Korak’s more interesting whites. We started with a macerated white (I don’t remember the varietal), then proceeding to taste the exceptional, complex 2015 Laškorec Chardonnay “sur lie”. We then tried a sparkling rosé that had a beautiful golden-yellow color. Velimir gifted us a few of bottles of wines before we departed. At this point we definitely didn’t need to make another vineyard stop, but we when we spotted signs for Tomac, we couldn’t resist. 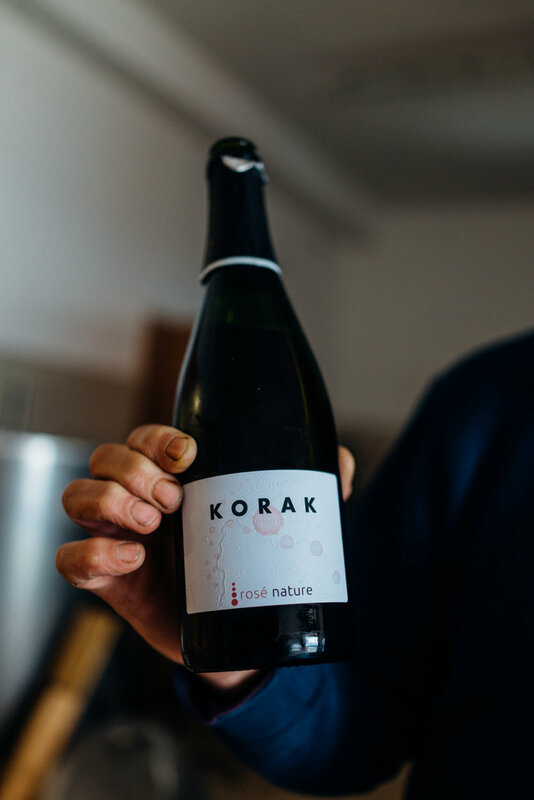 One of the most heralded vineyards not just in Plešivica but perhaps in all of Croatia, Tomac sits about 6km south of Korak. Today, Tomislav Tomac is primarily the face of Tomac. The day we visited Tomislav was away, so his wife Martina showed us around, and we were later joined by Tomislav’s lovely sister Jasna (who chose not to be involved in the family business). Our visit was short on time, but rich with wine and conversations. We started with a Tomac Crni Pinot 2015, while Martina showed us one of the cellars filled with sillage cages and gyropalette for riddling their sparkling wines. Next up we tried Tomac Rajnski Rizling 2015 before ending with a bubbly Tomac Diplomat Extra Brut NV made in the Champagne style. Tomac also produces some sparkling wines made in amphorae that we didn’t try but were gifted as we were leaving. 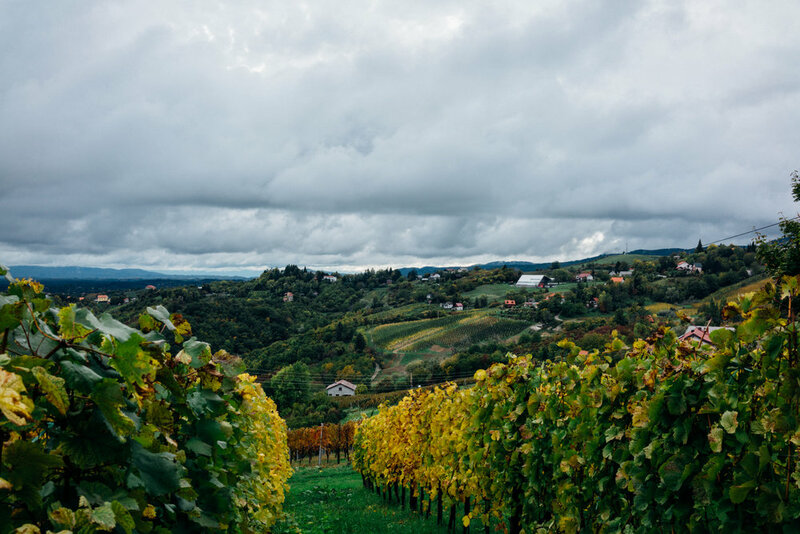 The Croatian wine market is large enough that barely any of their wine is exported (plus, exporting wine in Croatia is an expensive affair, and I’d imagine rather bureaucratic for a small producer). While the local market is competitive, it’s not cut-throat. 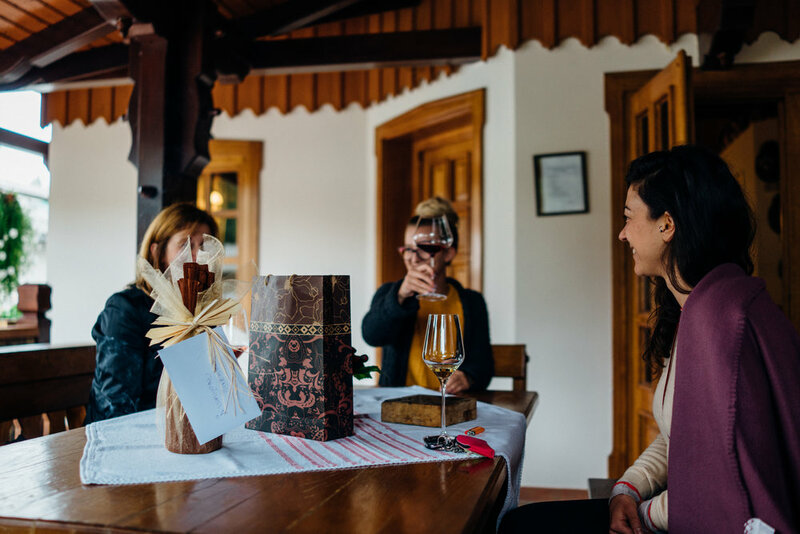 The folks at Šember, Korak, and Tomac all know each other and have amiable relations with each other. In addition to the wine themselves, what was cool about our visits was that each of our tastings here were casual affairs where our hosts were active participants in conversation and wine. After tasting wines at Tomac – and I’m embarrassed to admit this – we drove back to Zagreb. We were lucky to be back in Zagreb alive, with no incident, but that was the wrong thing to do, and I hope to never repeat it. As if we hadn’t had enough wine for the day, we finished our night at Noel (we walked) with a bottle of 2014 lasina, a native Dalmatian varietal, from Sladić.